I’ve had a thing for chicken cooked with dreamy creamy sauces lately. There is just something so filling and satisfying and indulgent about a cream sauce, especially when it’s literally bursting with flavor like this one. Sun-dried tomatoes add a huge punch of flavor to this whole dish and I add in a little spinach and garlic for good measure. The chicken is juicy and moist, the sauce is something you might want to drink with a straw, and the whole dish is just divine. Can’t wait for you to give it a try and report back. 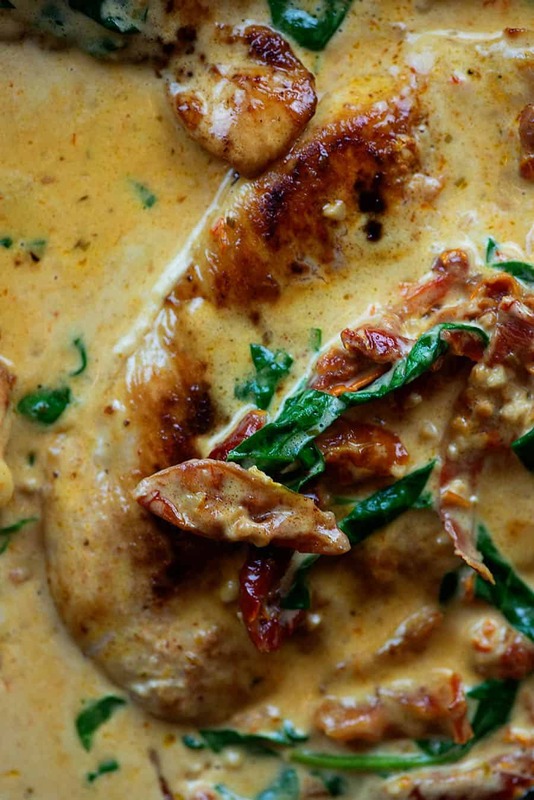 I want to know what you think of this creamy tuscan chicken recipe! 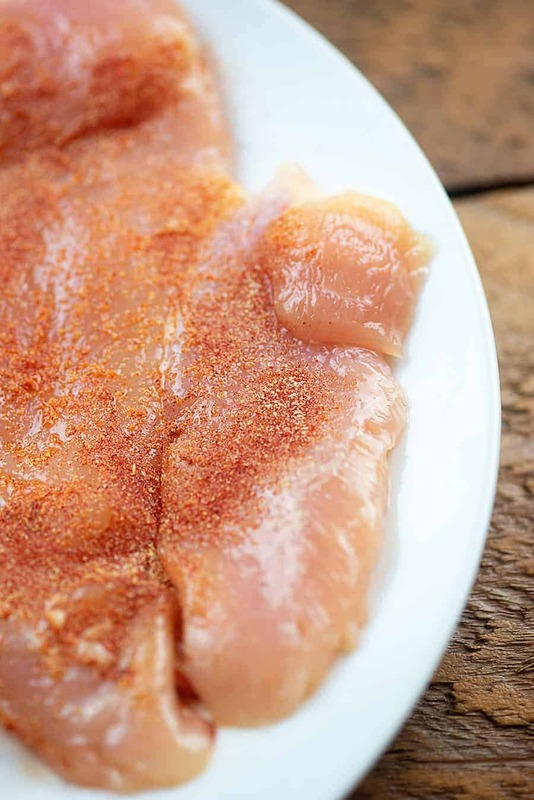 To start, we’ll season up some thin-sliced chicken breasts with a little paprika, garlic powder, and salt. Cook the chicken in a heavy bottomed pot (such as a cast iron skillet) in a bit of butter until the chicken is cooked through. 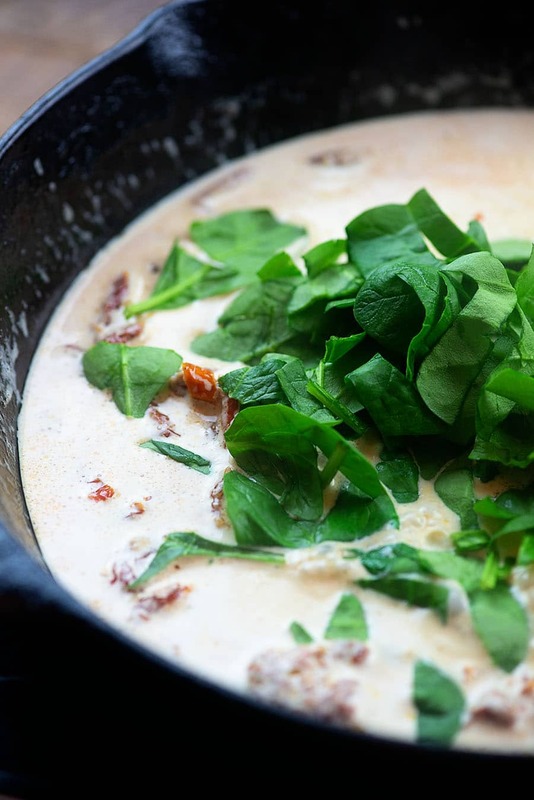 Remove the chicken from the skillet and add in your cream, sun-dried tomatoes, and garlic. Let that cook for a few minutes to infuse all the flavor from the tomatoes and garlic into the sauce. Add in some chopped spinach and cook until wilted. 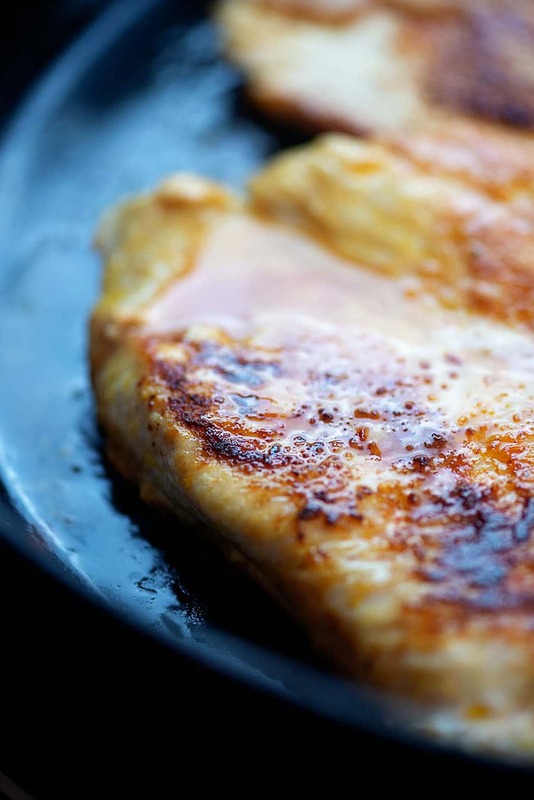 Pop your chicken back into the skillet with the sauce and you’re good to go! You could serve this up with some cauliflower rice or zucchini noodles or with a side of steamed broccoli. Either way, this recipe is absolutely mouth watering. Low Carb Taco Soup: So much flavor and you can make this one in your crockpot or Instant Pot! Chicken Casserole: Total comfort food! Buffalo Chicken Meatballs: The perfect party food! Chicken Stir Fry Recipe: My low carb stir fry sauce is super quick to throw together. 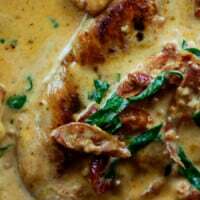 Chicken Lazone: Creamy sauce over seasoned chicken – winner! 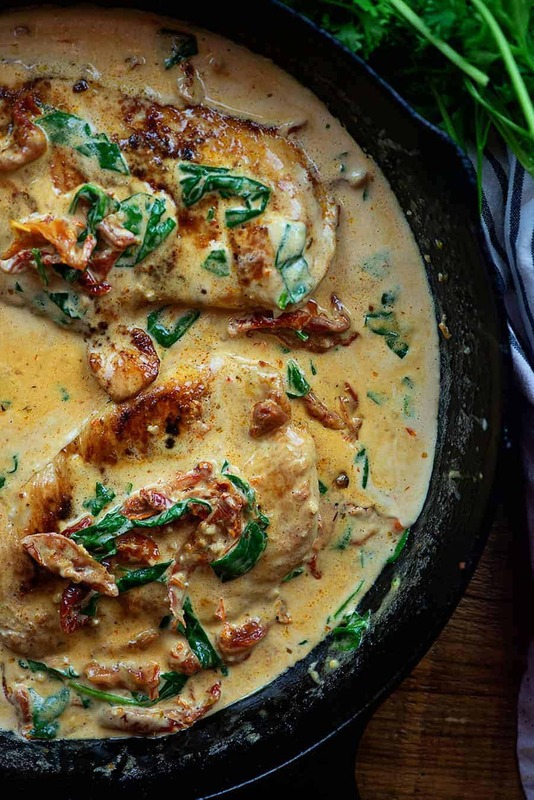 Juicy chicken with a creamy flavorful sauce full of sun-dried tomatoes and garlic! Combine the paprika, garlic powder, and salt and sprinkle evenly over both sides of the chicken to coat. When the butter has melted add the chicken breasts and cook 5 minutes per side or until cooked through. Add the spinach and stir well. Continue cooking over low heat until spinach has wilted and sauce has thickened, about 3 minutes. Return the chicken to the skillet and coat with the sauce.